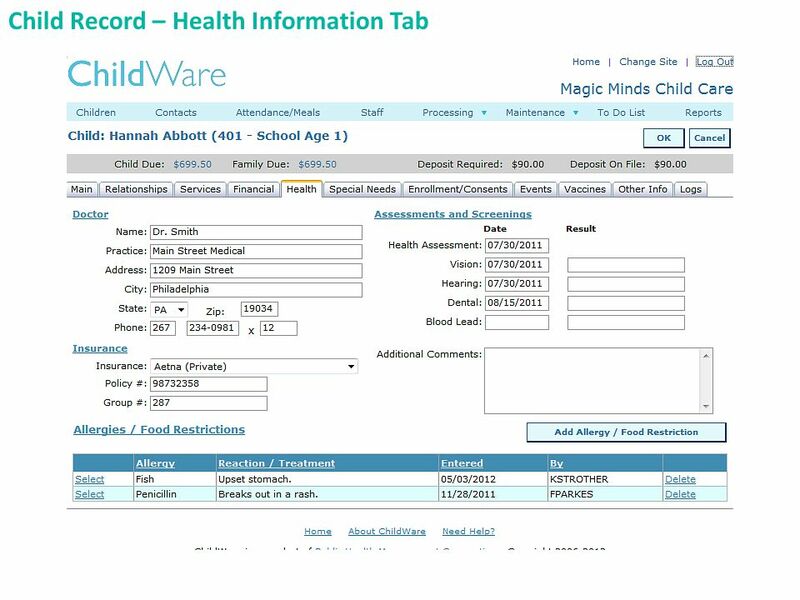 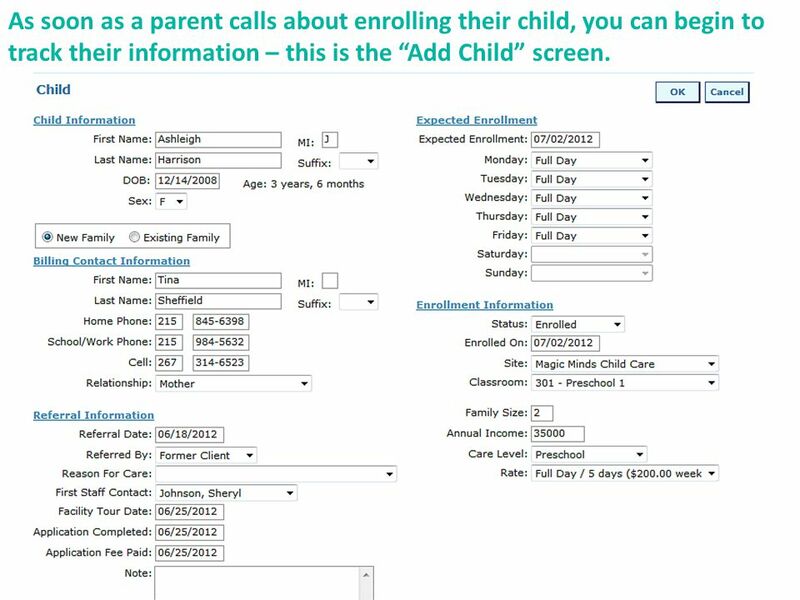 4 As soon as a parent calls about enrolling their child, you can begin to track their information – this is the “Add Child” screen. 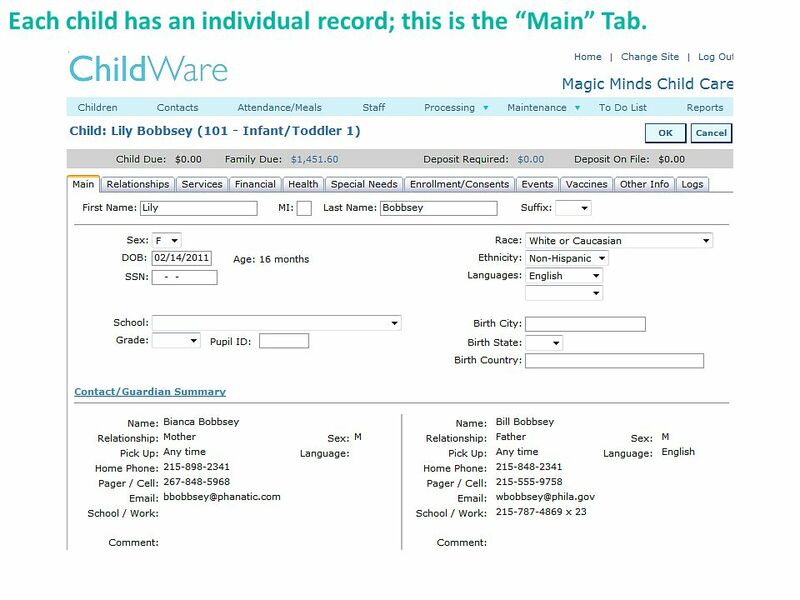 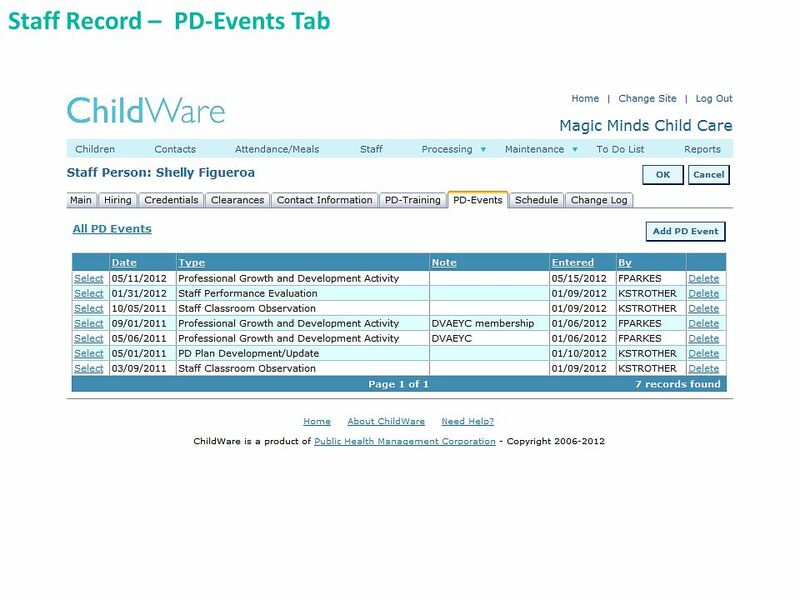 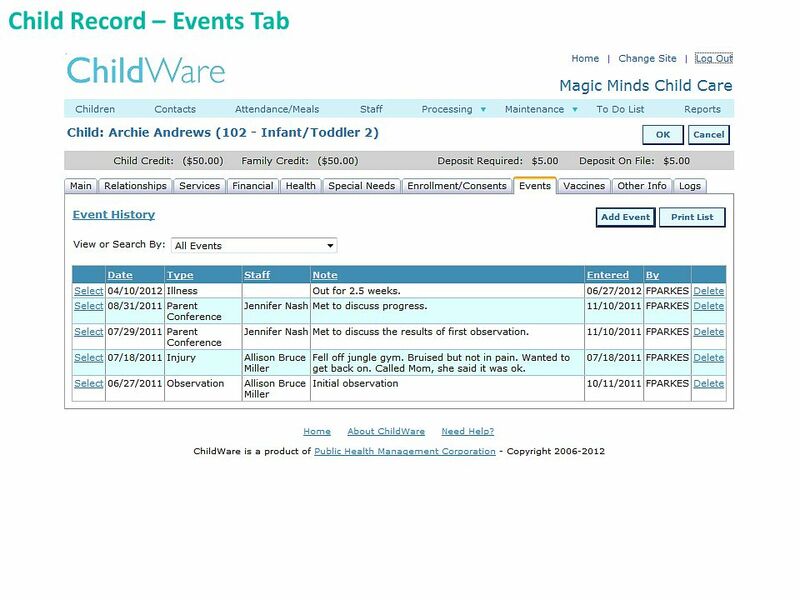 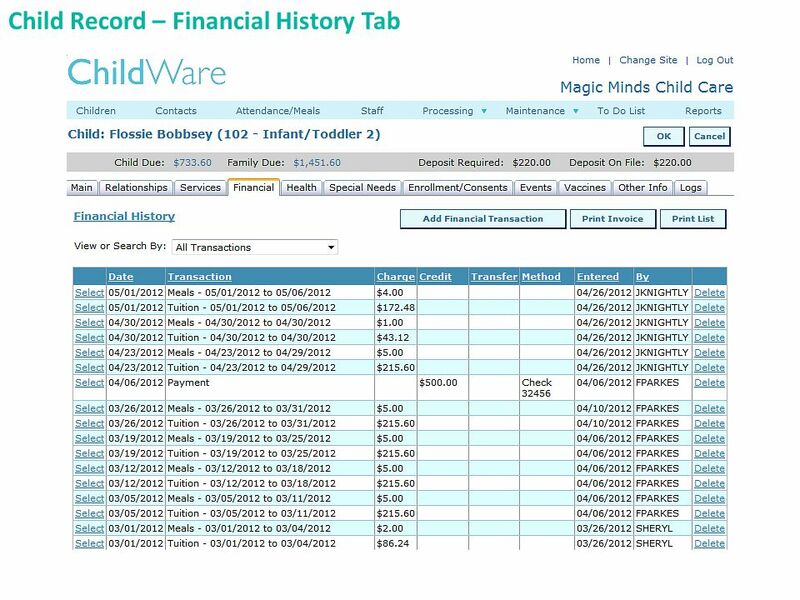 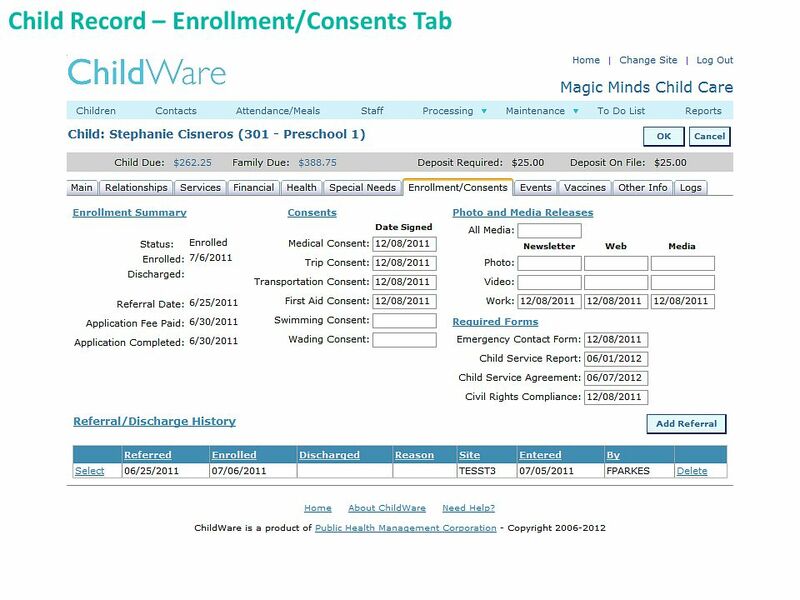 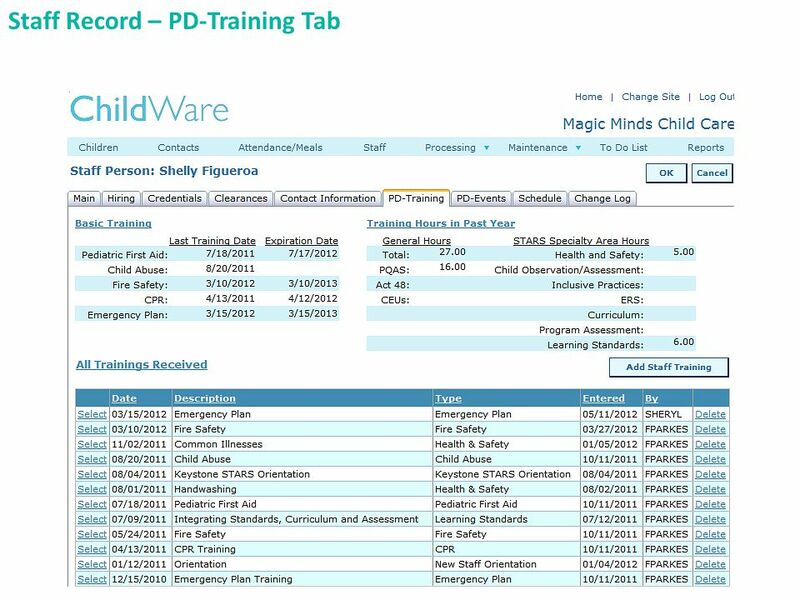 5 Each child has an individual record; this is the “Main” Tab. 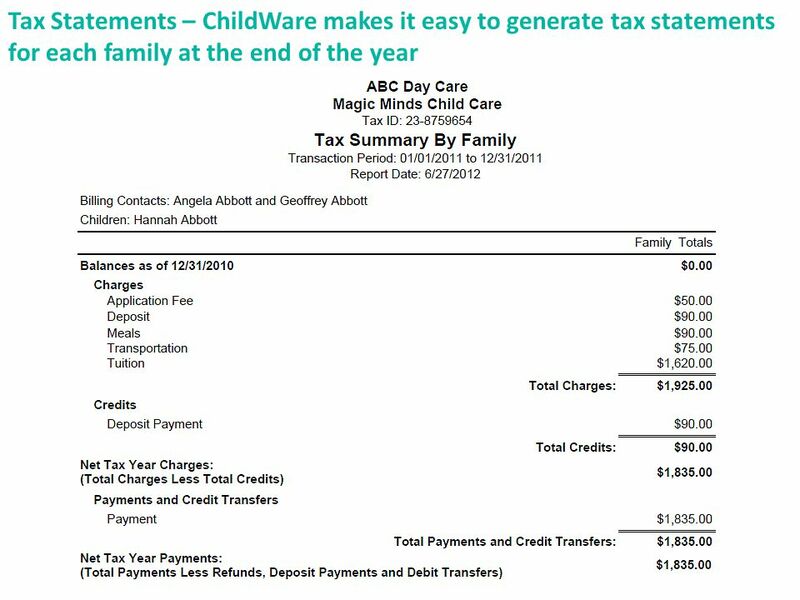 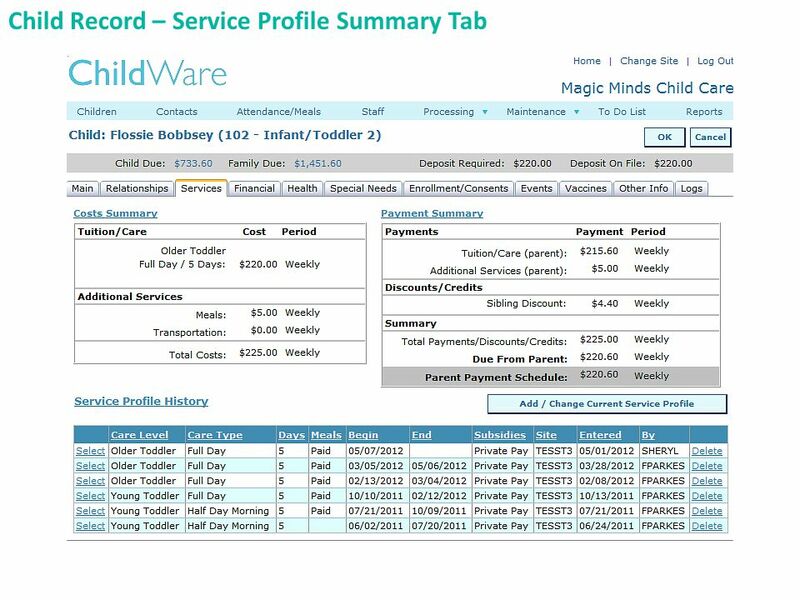 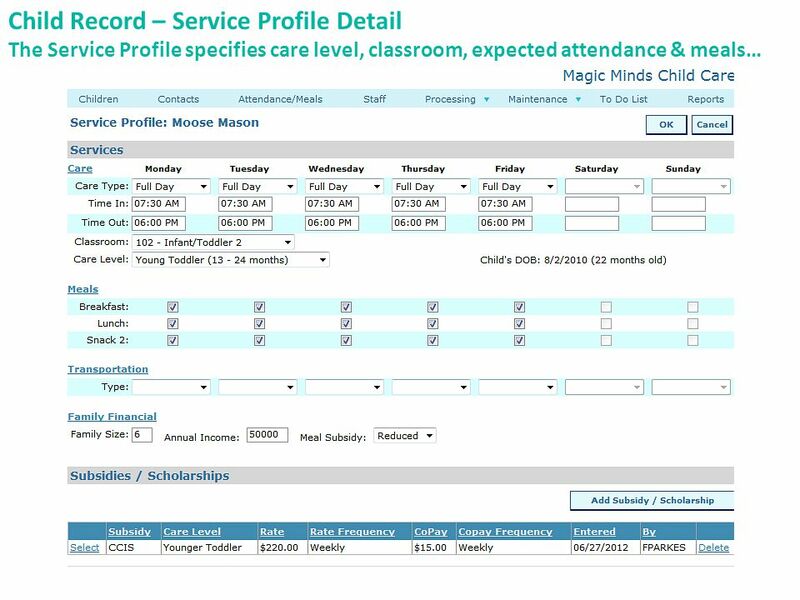 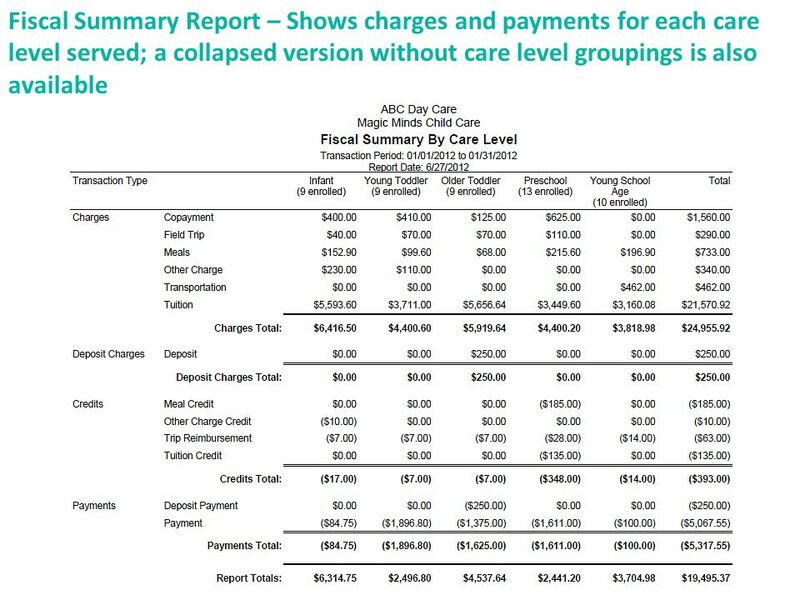 9 Child Record – Service Profile Detail …it also includes subsidy information, tuition rates, and the parent’s payment plan. 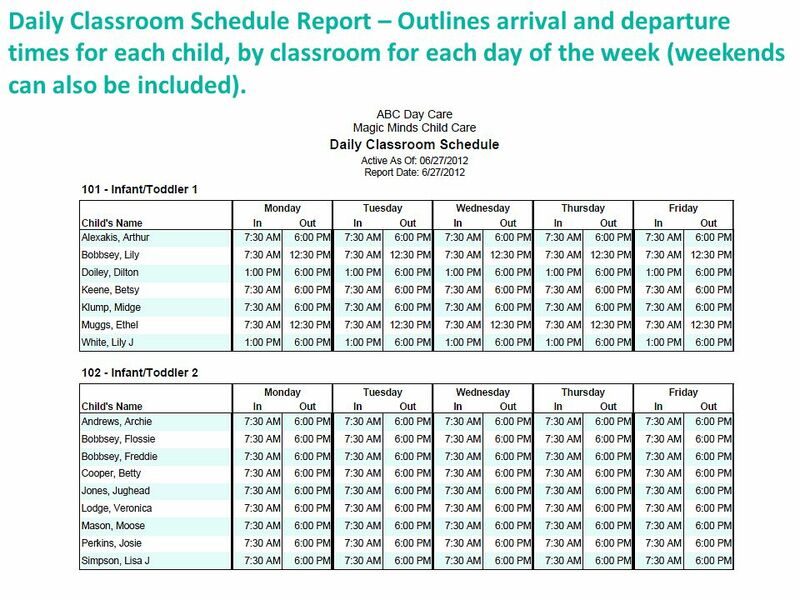 21 Daily Classroom Schedule Report – Outlines arrival and departure times for each child, by classroom for each day of the week (weekends can also be included). 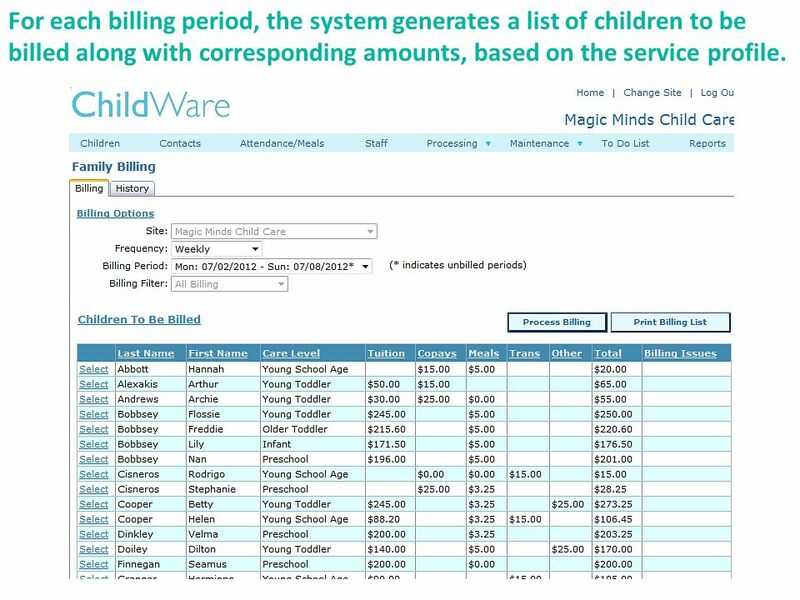 23 For each billing period, the system generates a list of children to be billed along with corresponding amounts, based on the service profile. 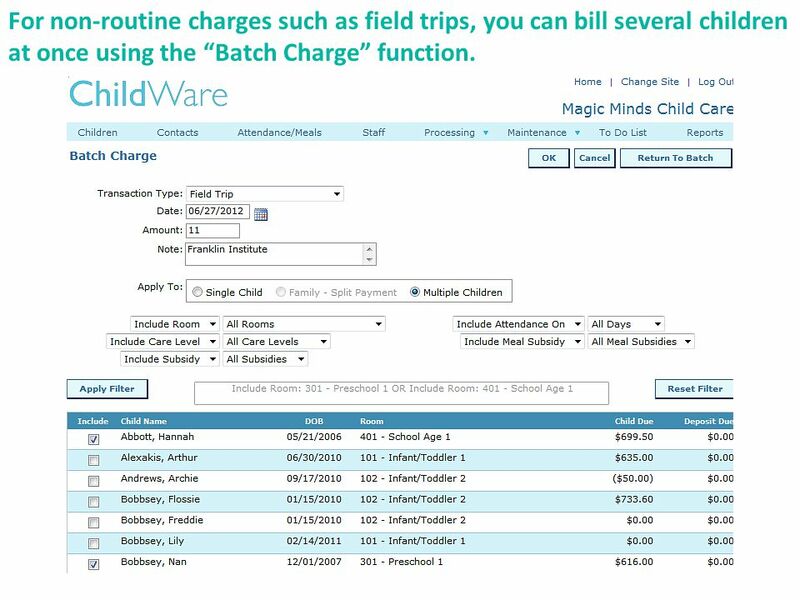 24 For non-routine charges such as field trips, you can bill several children at once using the “Batch Charge” function. 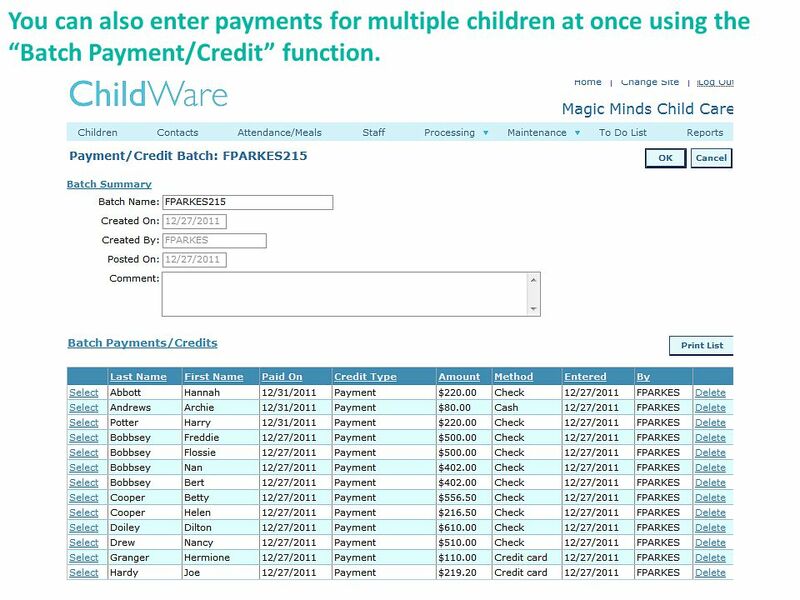 25 You can also enter payments for multiple children at once using the “Batch Payment/Credit” function. 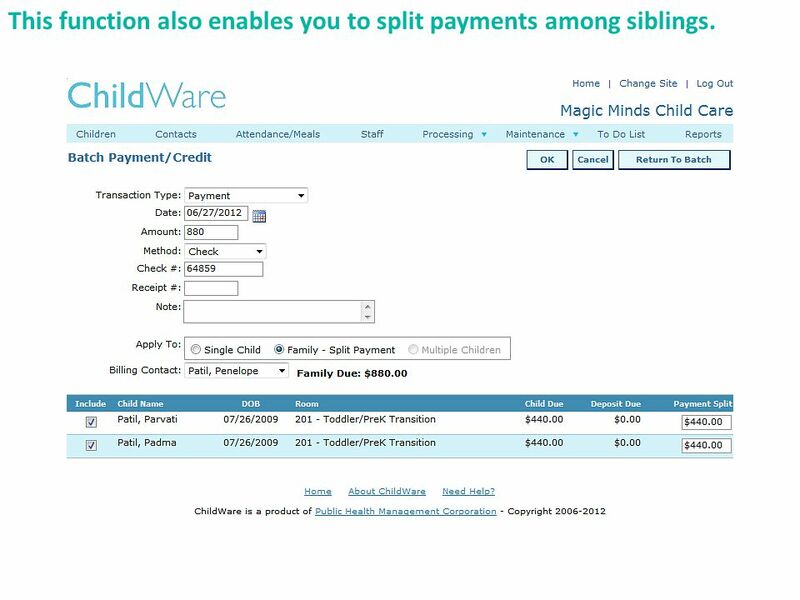 26 This function also enables you to split payments among siblings. 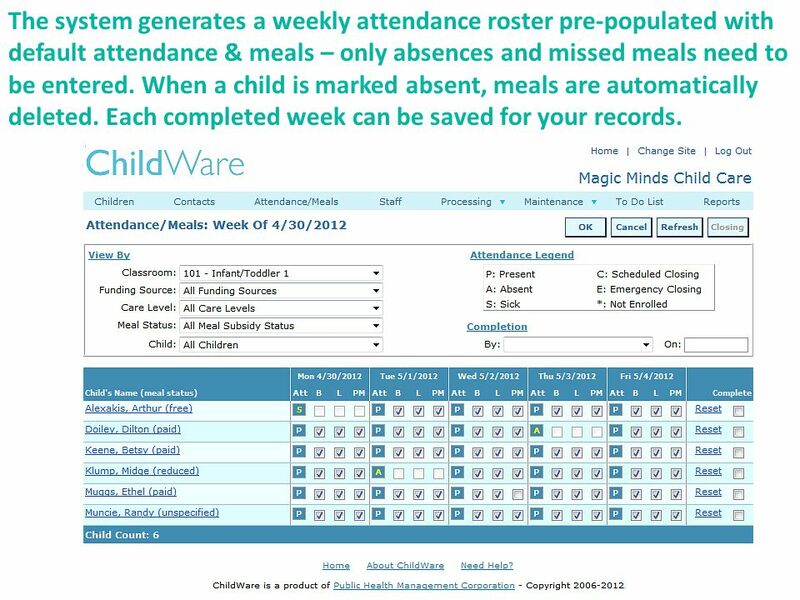 33 The system generates a weekly attendance roster pre-populated with default attendance & meals – only absences and missed meals need to be entered. 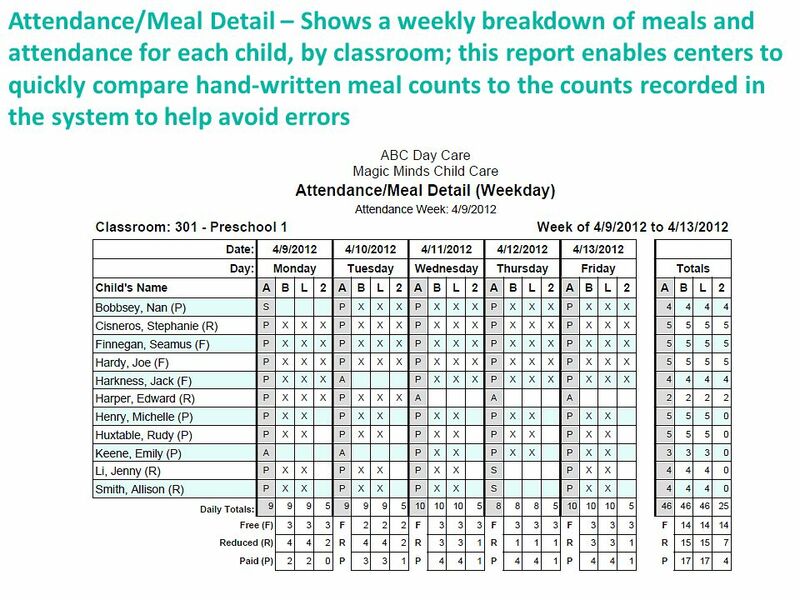 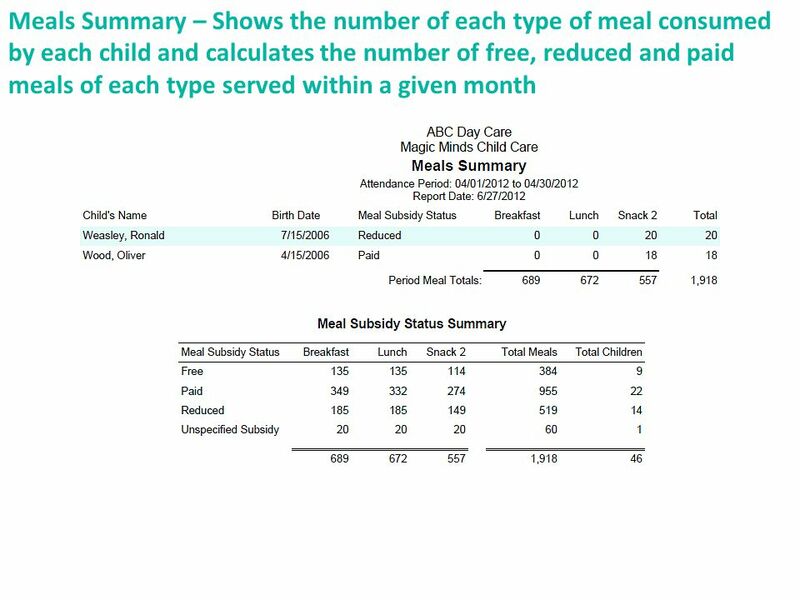 When a child is marked absent, meals are automatically deleted. 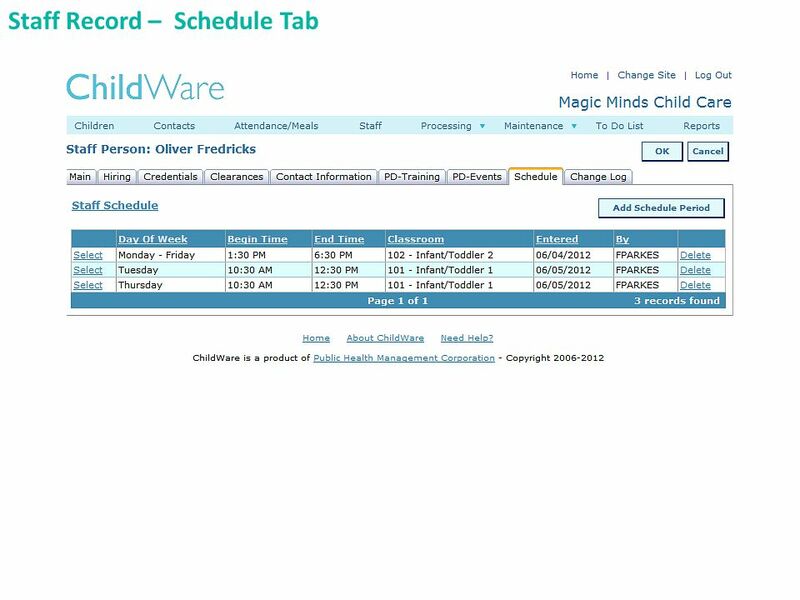 Each completed week can be saved for your records. 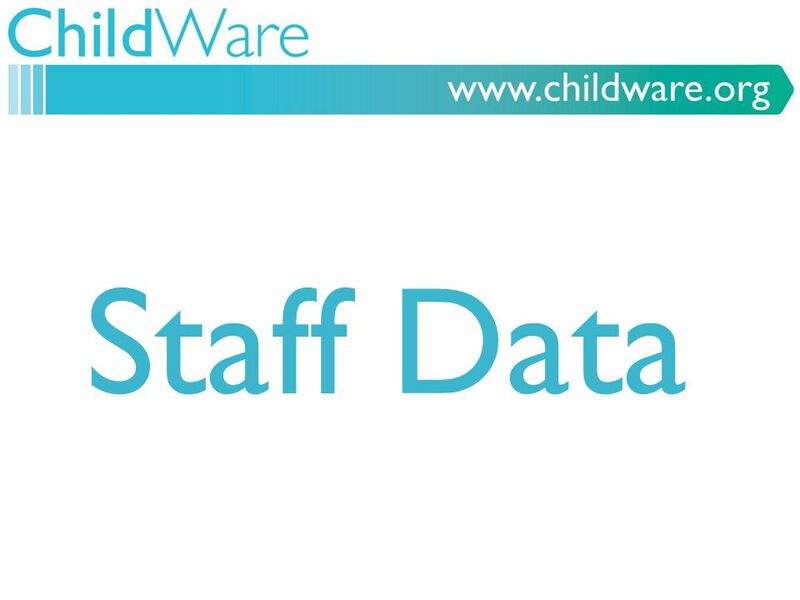 39 Each staff member has an individual record, similar to the child record. 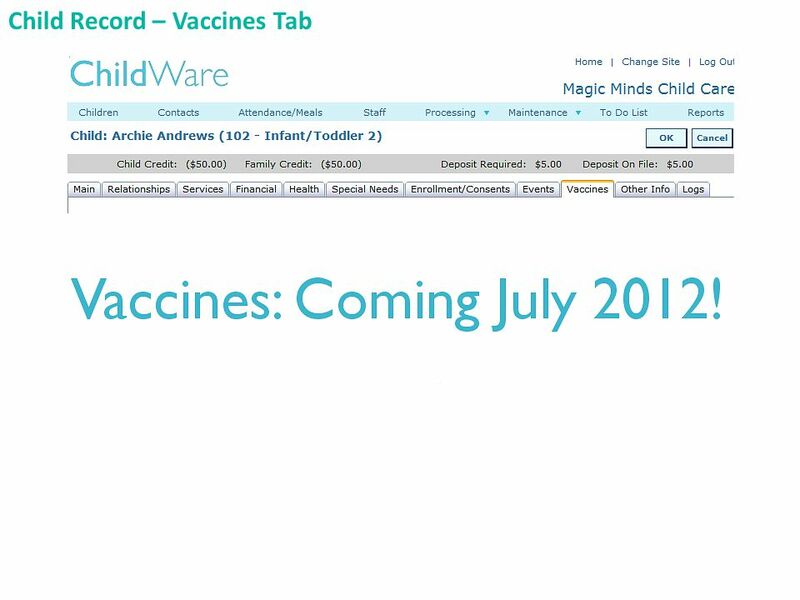 Not all tabs are covered in this demo. 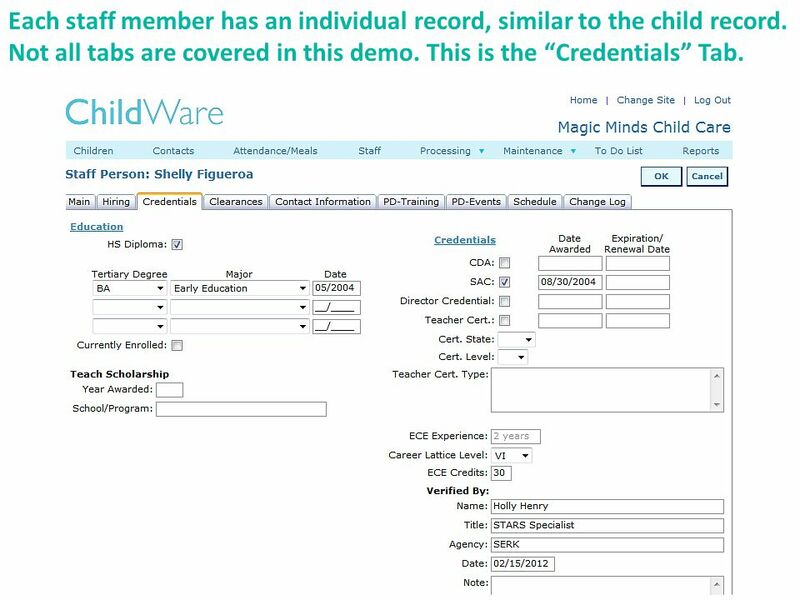 This is the “Credentials” Tab. 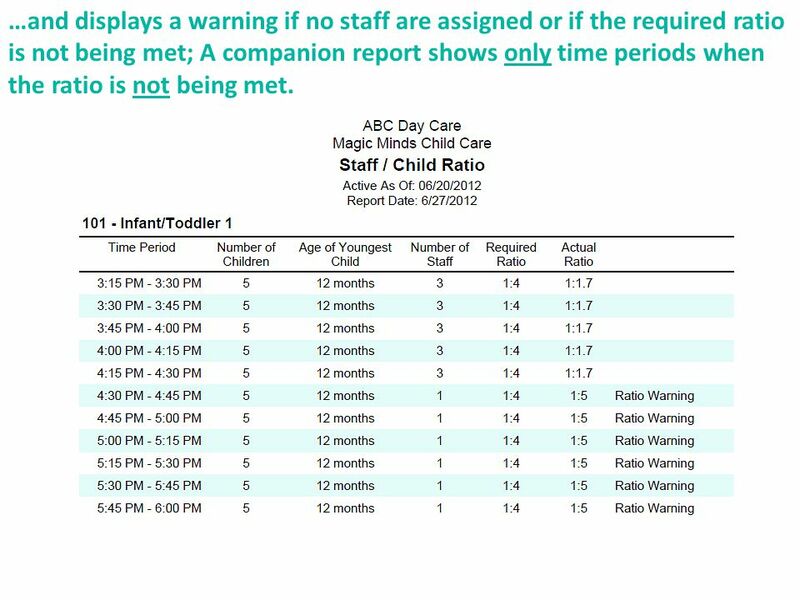 51 …and displays a warning if no staff are assigned or if the required ratio is not being met; A companion report shows only time periods when the ratio is not being met. 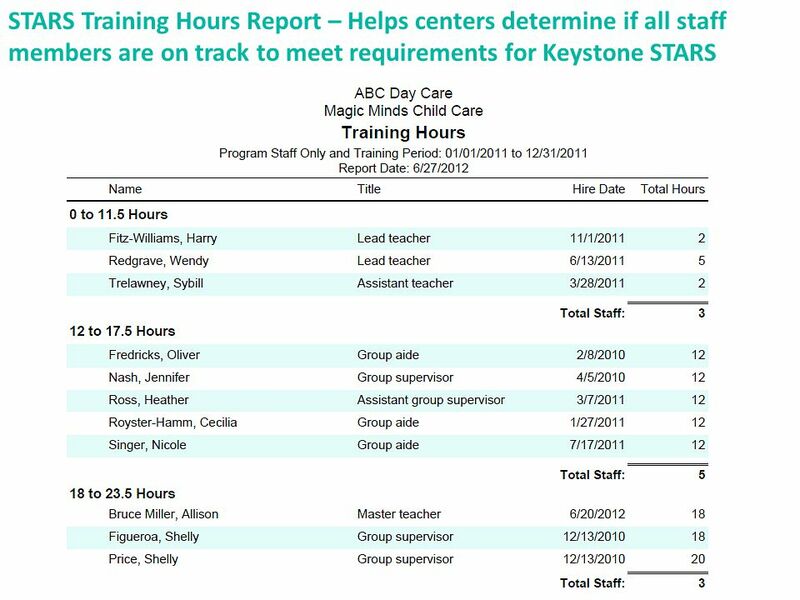 53 To-Do List helps centers keep on top of time-sensitive tasks. 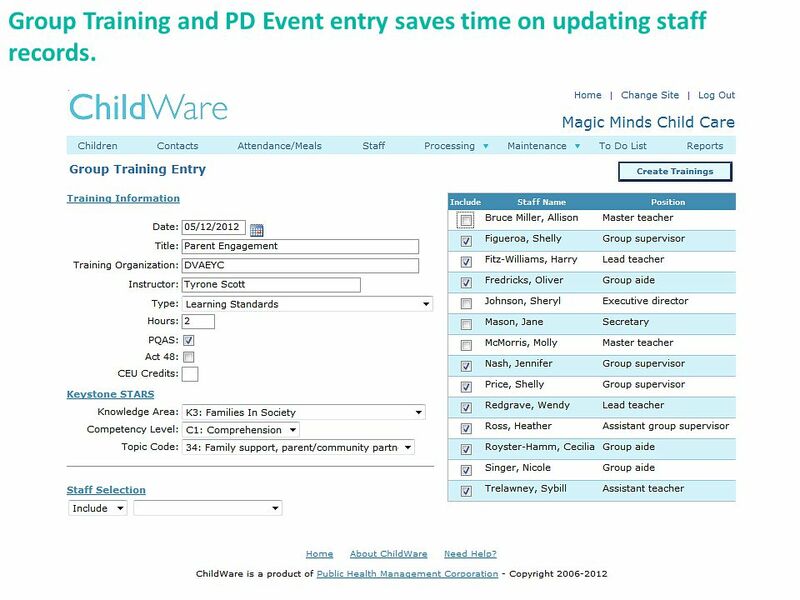 54 Group Training and PD Event entry saves time on updating staff records. 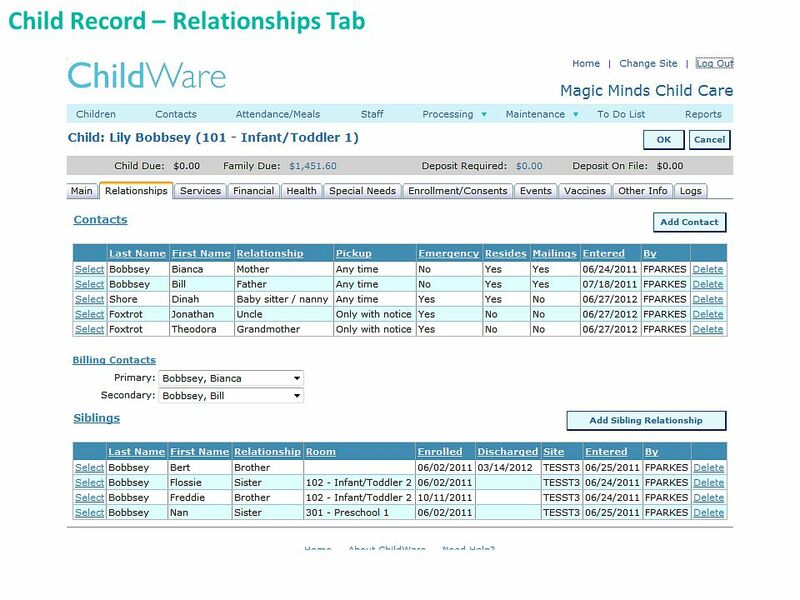 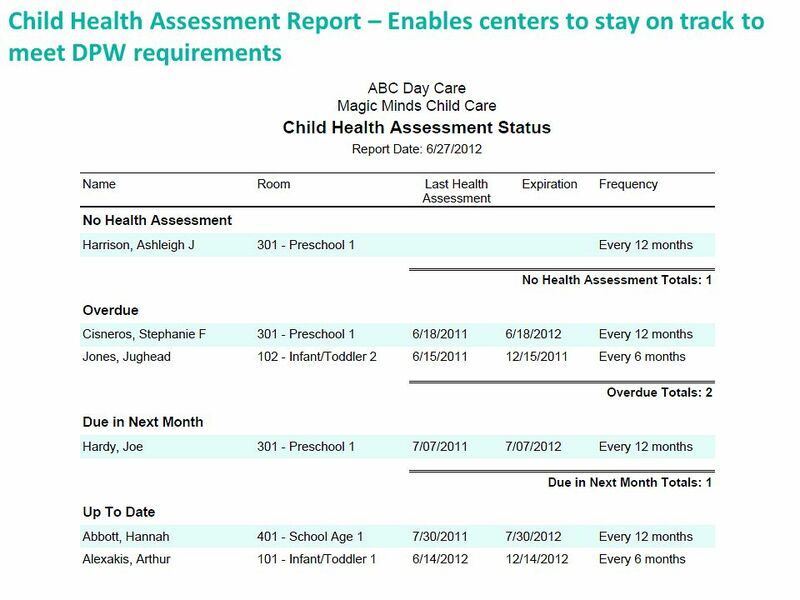 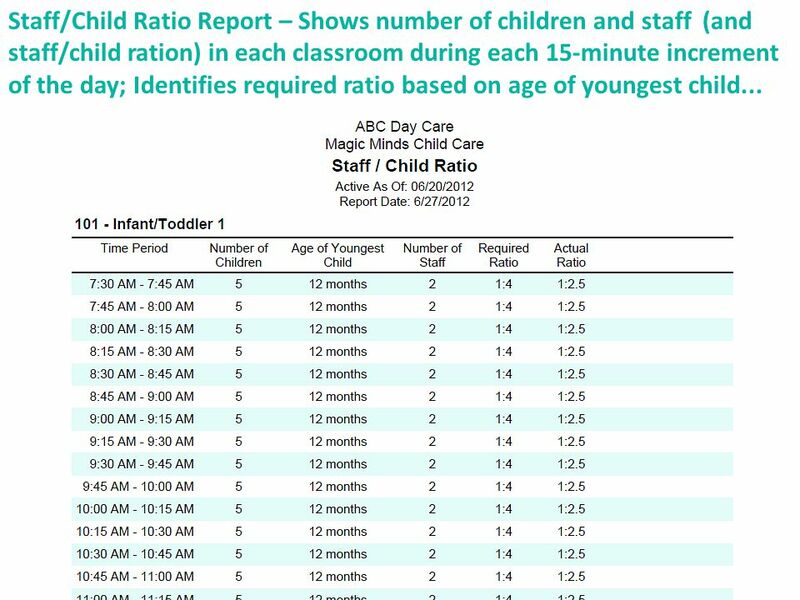 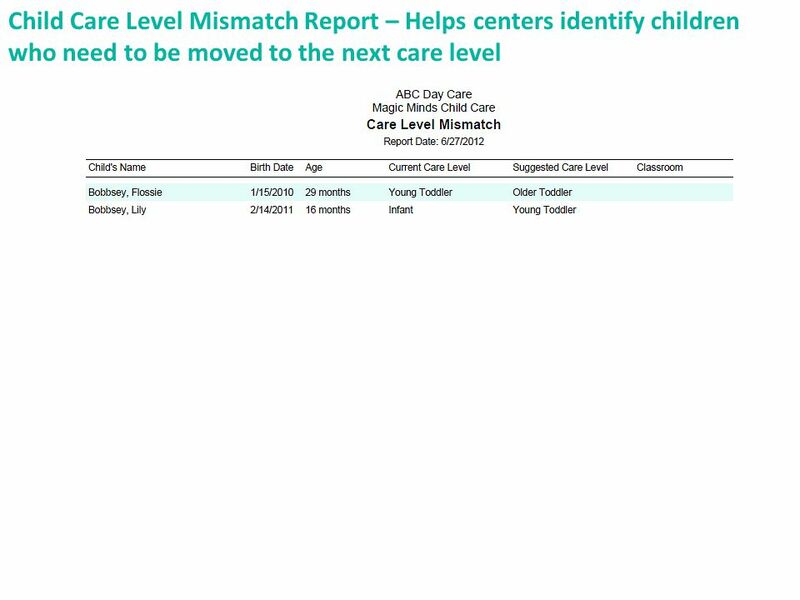 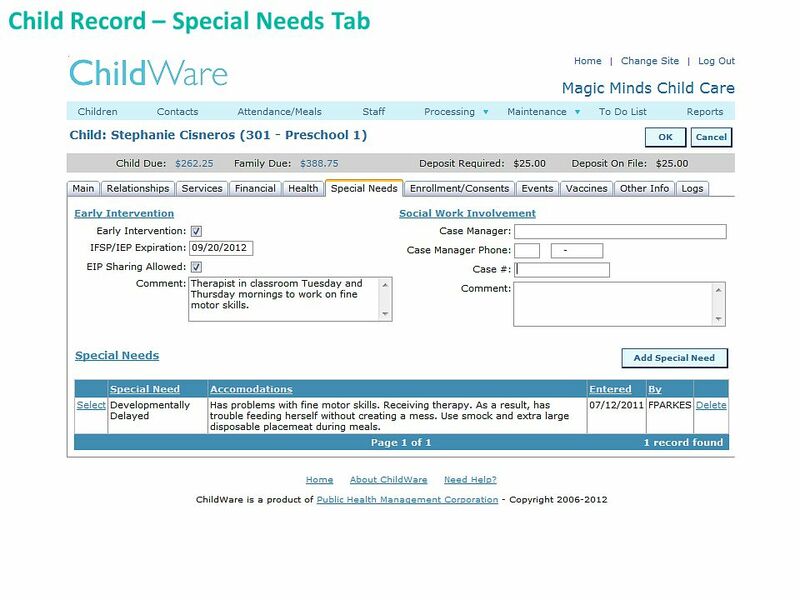 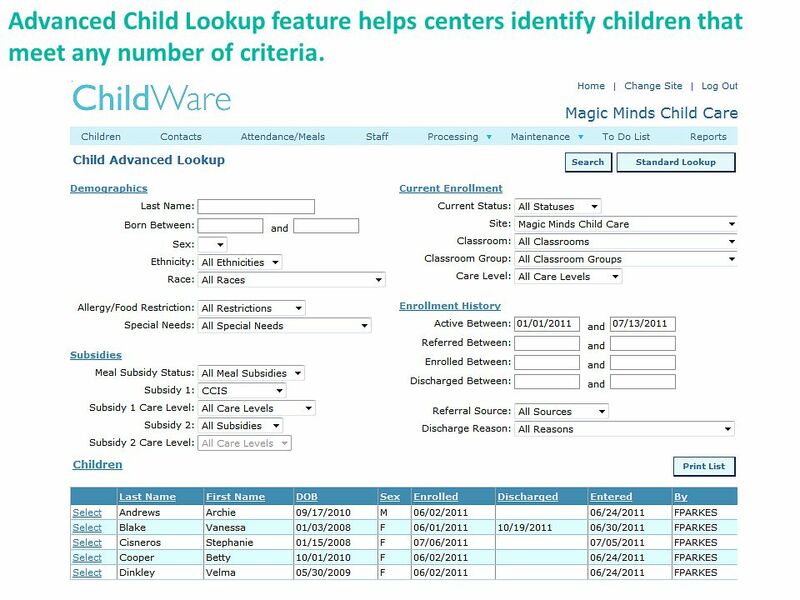 55 Advanced Child Lookup feature helps centers identify children that meet any number of criteria. 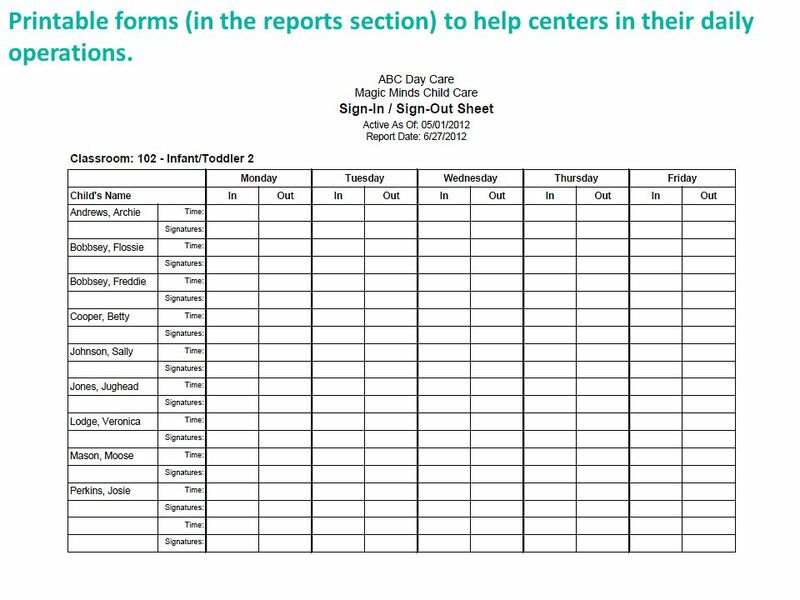 56 Printable forms (in the reports section) to help centers in their daily operations. 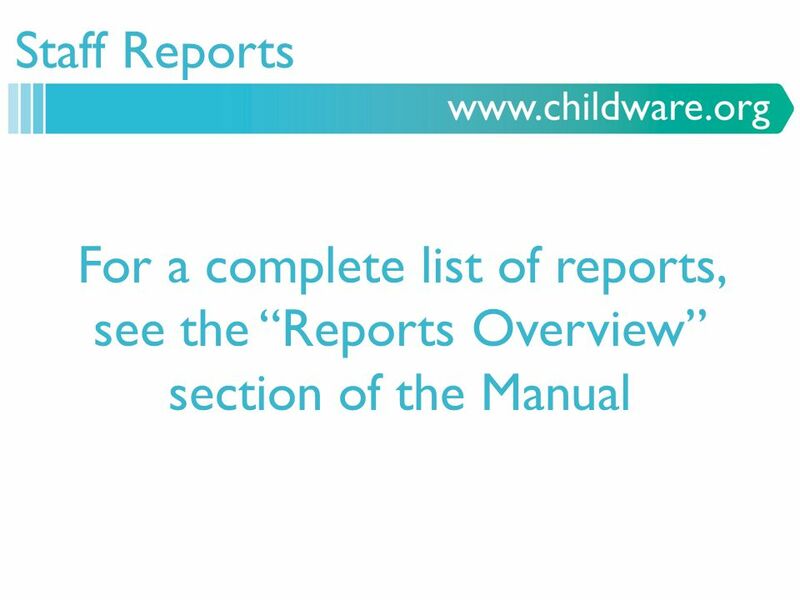 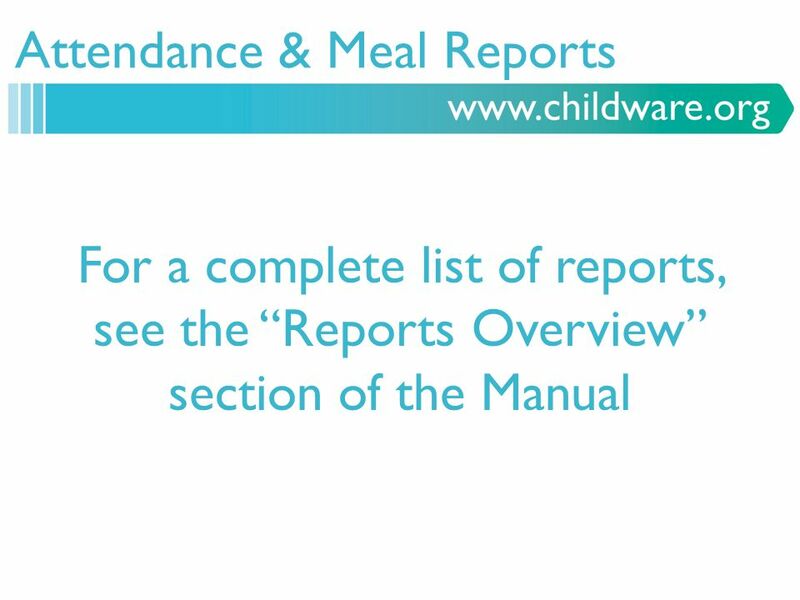 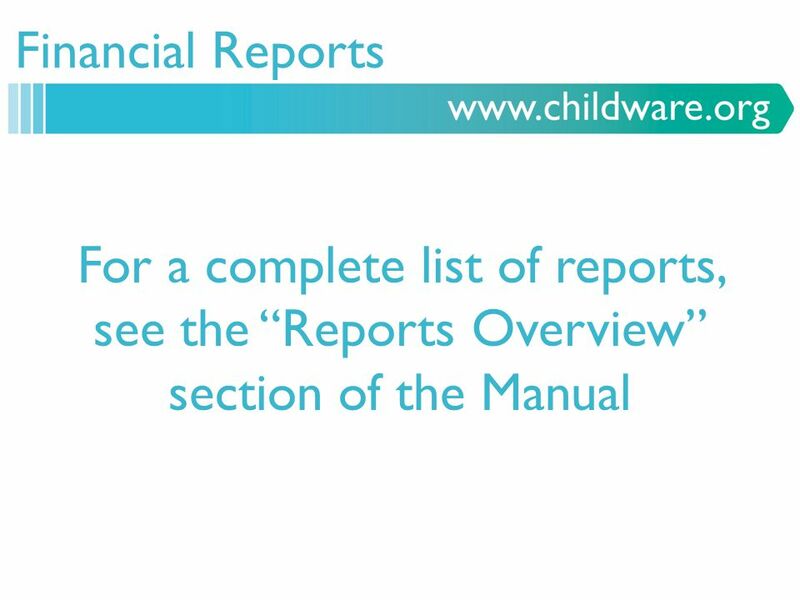 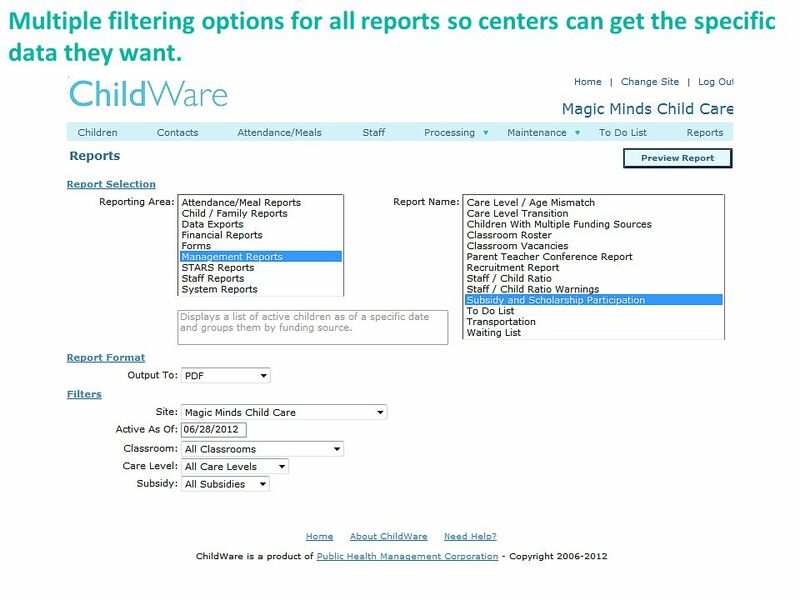 57 Multiple filtering options for all reports so centers can get the specific data they want. 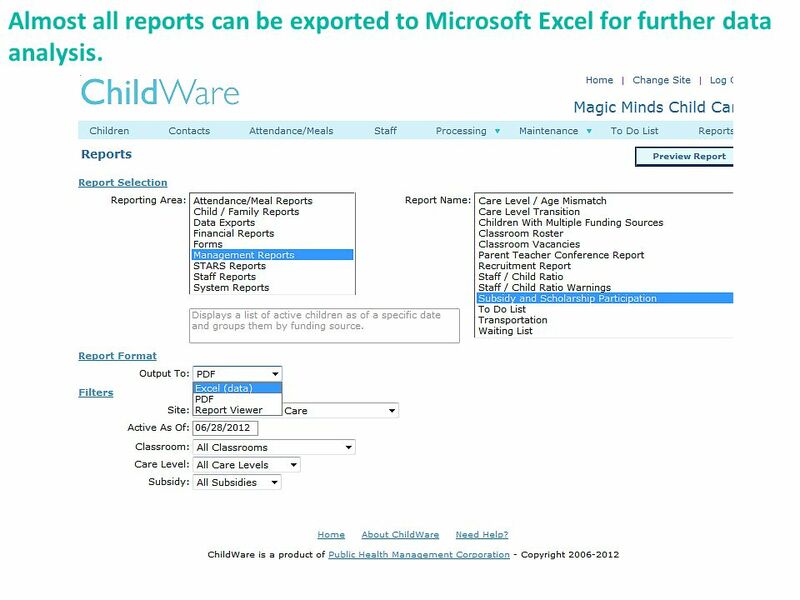 58 Almost all reports can be exported to Microsoft Excel for further data analysis. 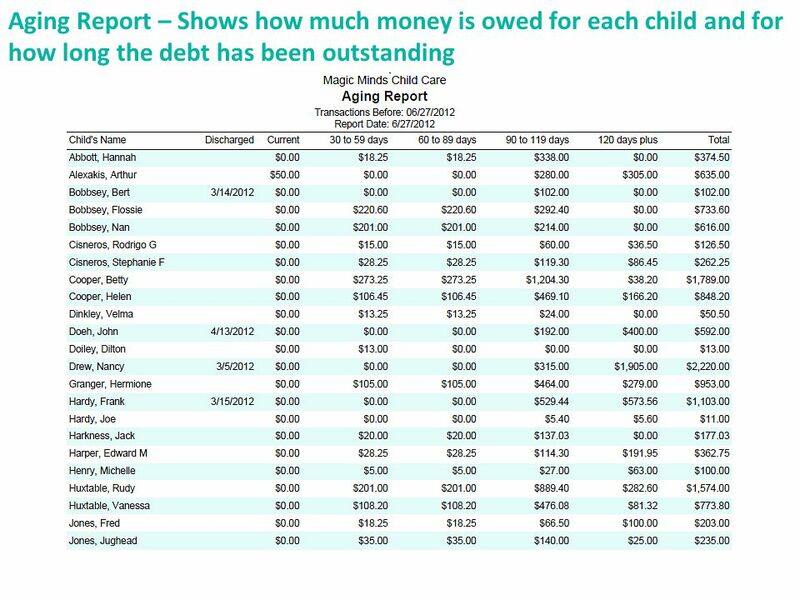 59 WANT TO SEE MORE ? 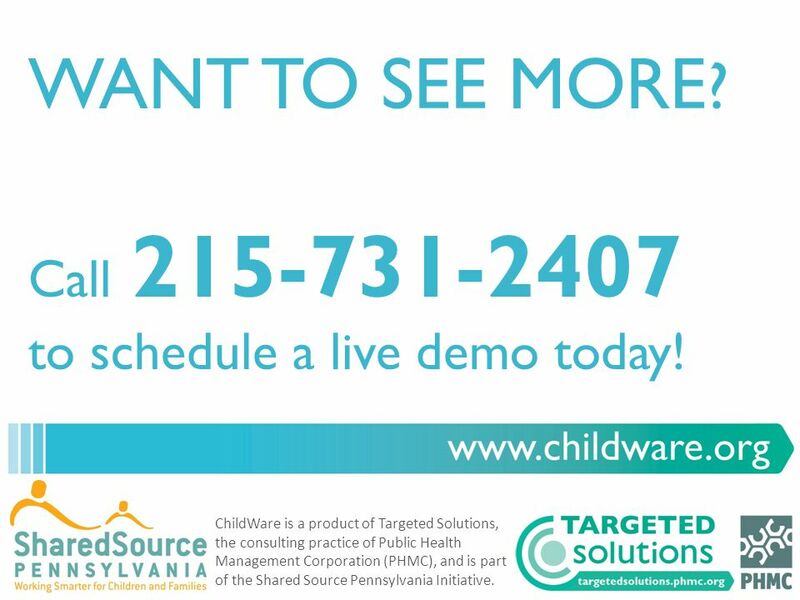 Call 215-731-2407 to schedule a live demo today! 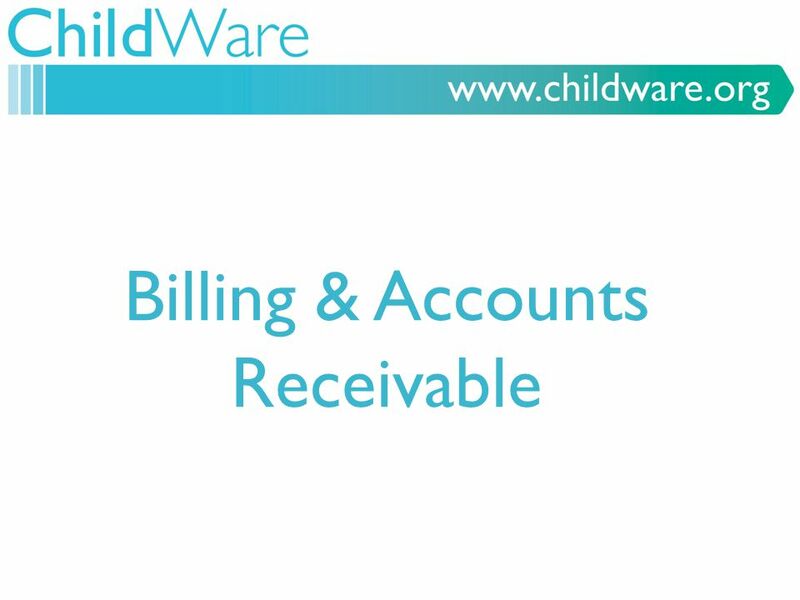 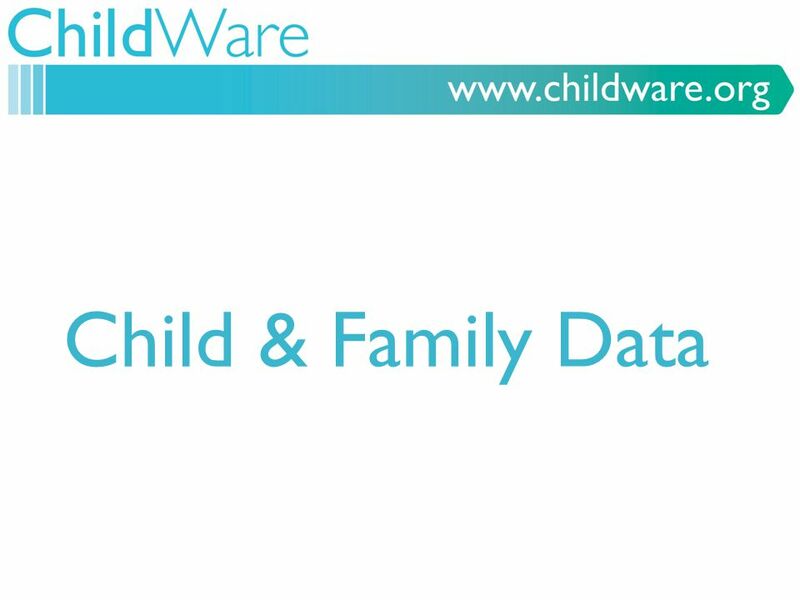 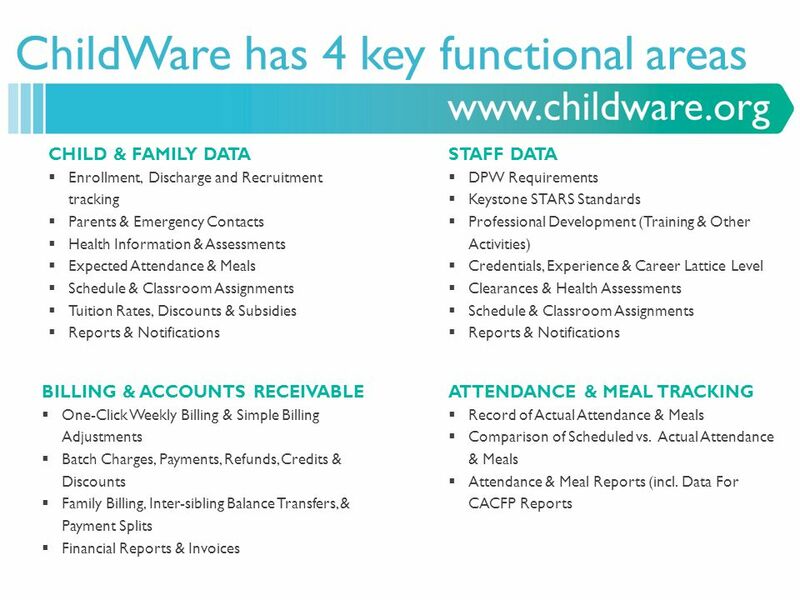 ChildWare is a product of Targeted Solutions, the consulting practice of Public Health Management Corporation (PHMC), and is part of the Shared Source Pennsylvania Initiative. 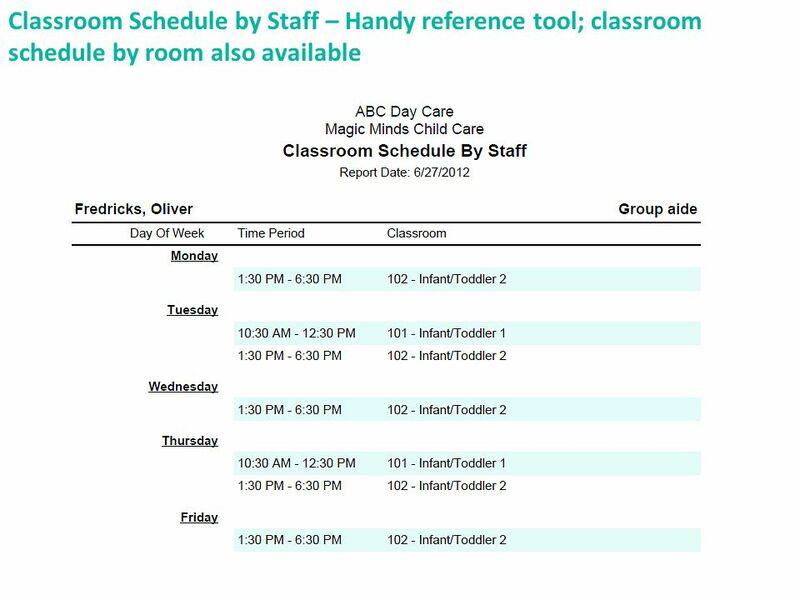 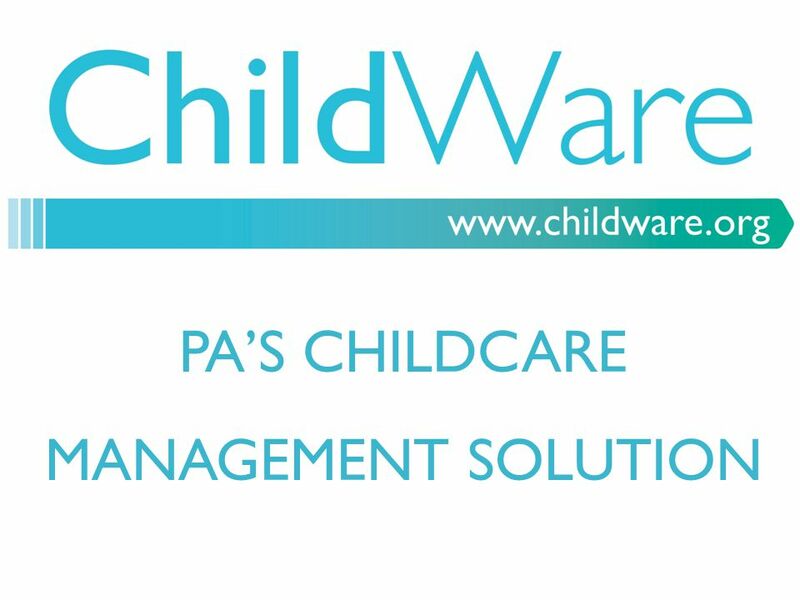 Download ppt "PA’S CHILDCARE MANAGEMENT SOLUTION. 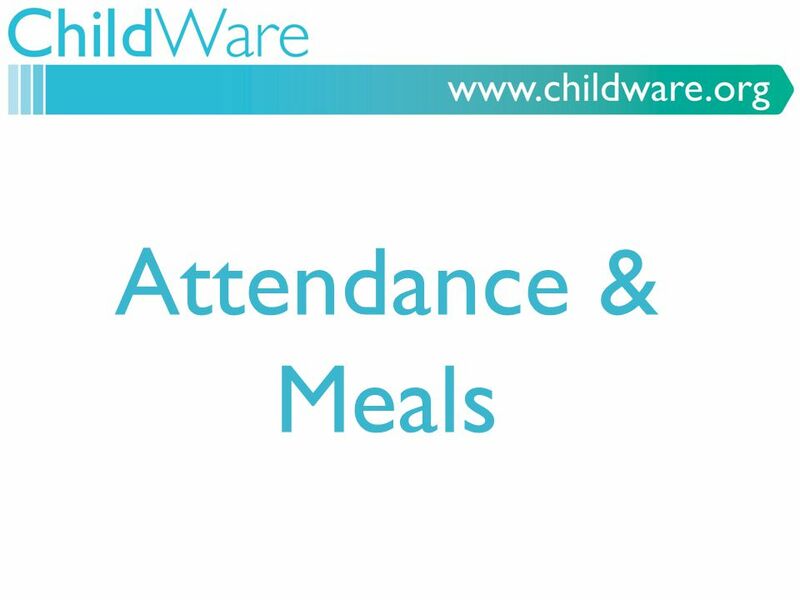 ATTENDANCE & MEAL TRACKING  Record of Actual Attendance & Meals  Comparison of Scheduled vs. Actual Attendance &"
Seed Management System Software for the Seed Industry. 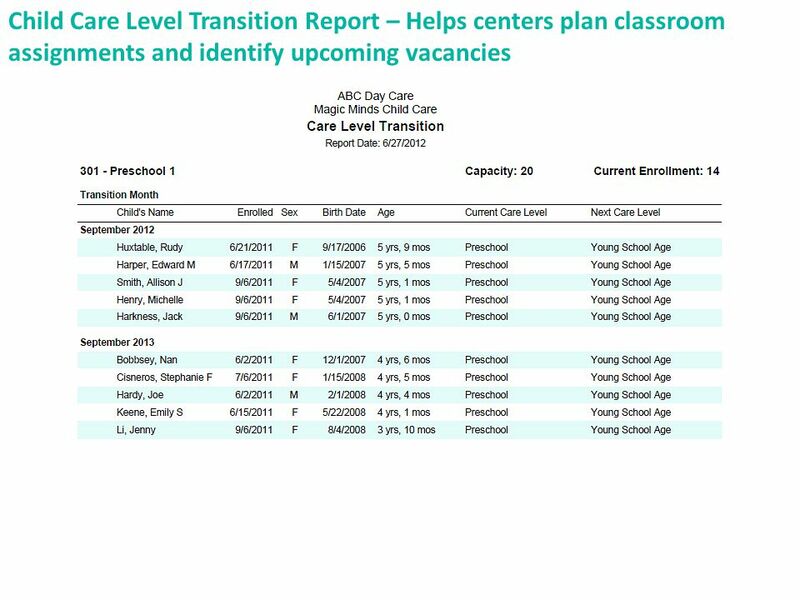 Students in Temporary Housing (STH) ATS Training Manual Office of Youth Development and School-Community Services March 2004. 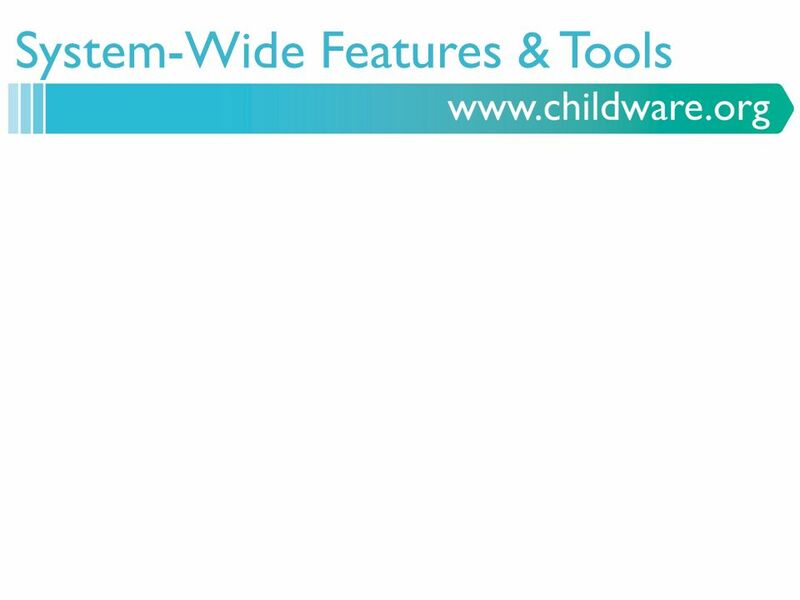 ©2008 TTW Where “Lean” principles are considered common sense and are implemented with a passion! 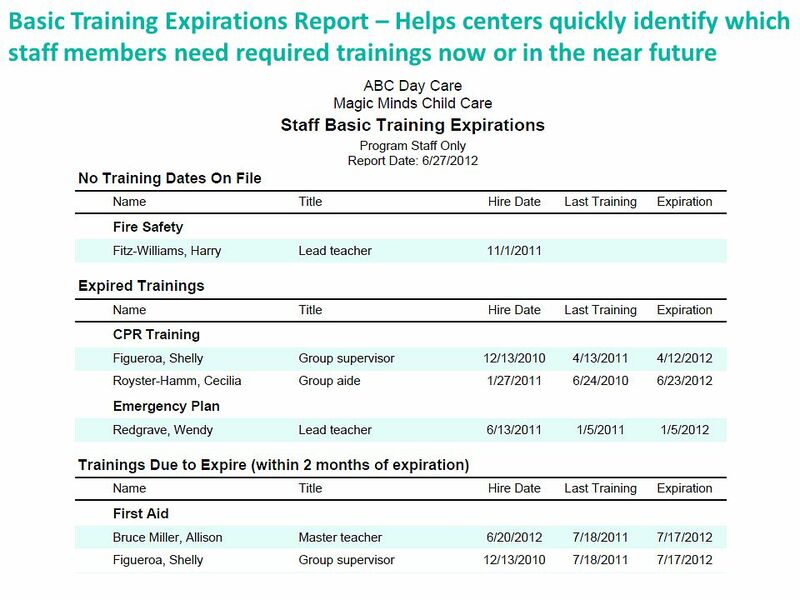 Product Training Commissions. 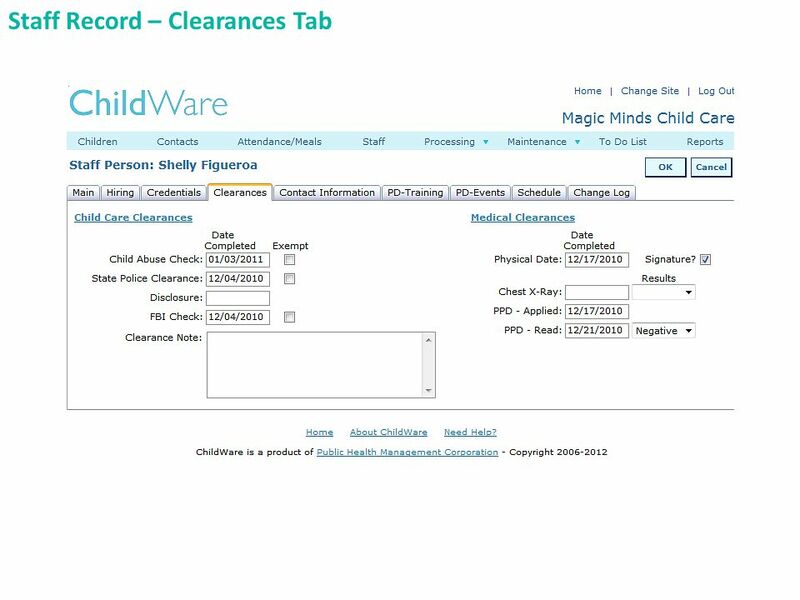 Front Desk Configuration Front Desk Point of Sales Pay Roll Exit. 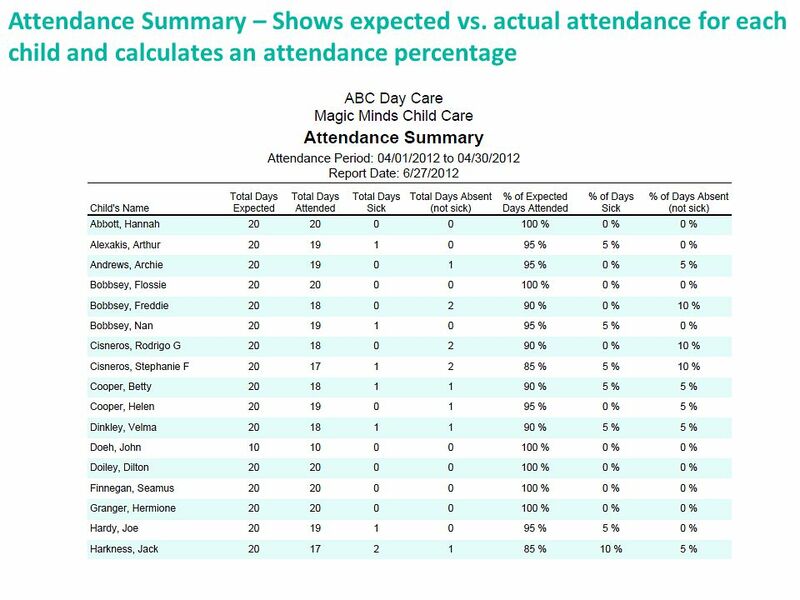 6 th Annual Focus Users’ Conference 6 th Annual Focus Users’ Conference Point of Sale Presented by: Natasha Leon Presented by: Natasha Leon. 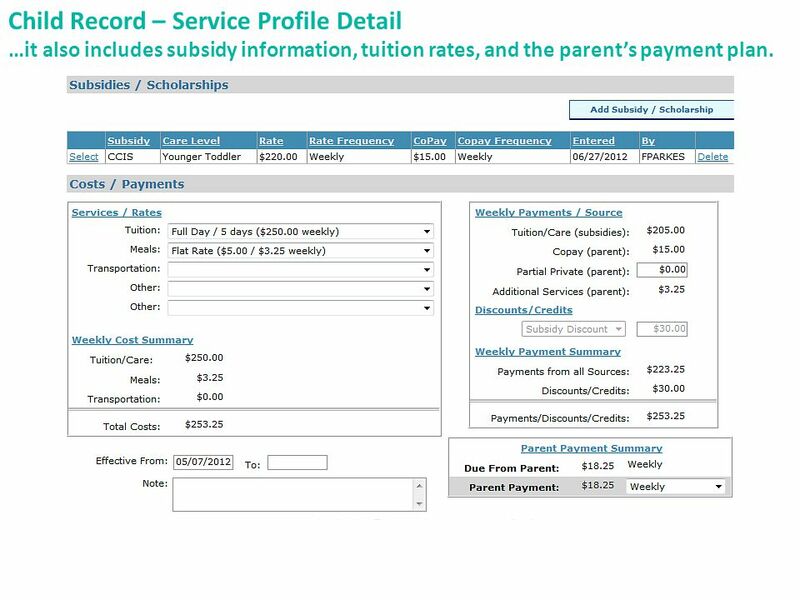 1 Soldier Quick Start Training GoArmyEd Module 3 Requesting Tuition Assistance Module 3: Requesting Tuition Assistance. 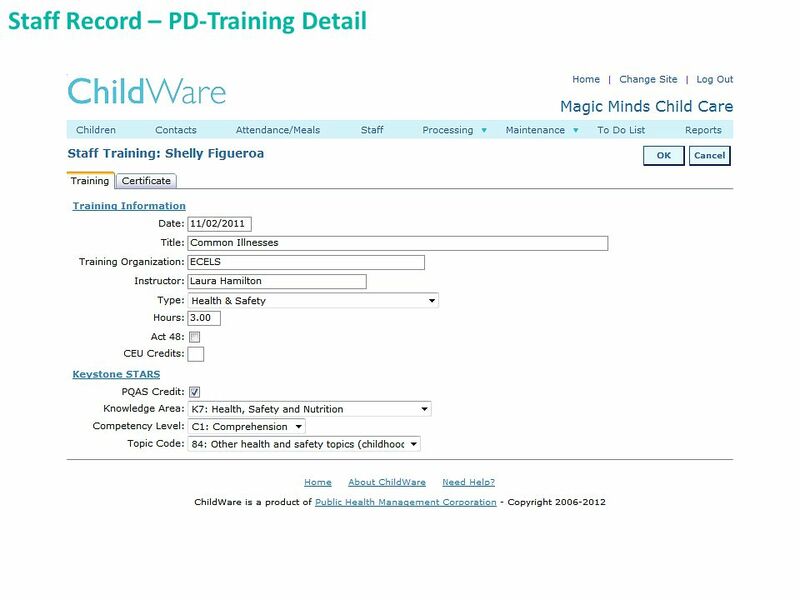 DCMS 5.0 Product Demonstration. 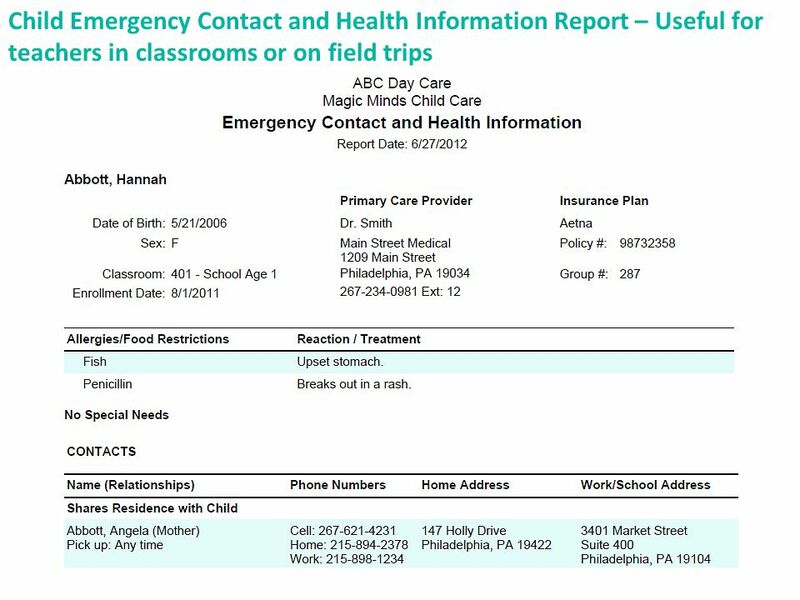 START OF EXERCISE #1. 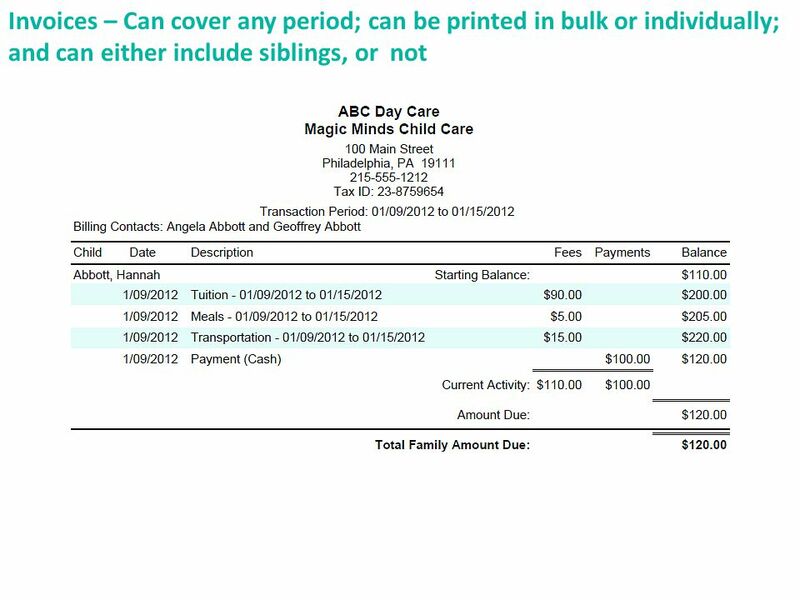 TFACTS Private Provider Financial/Invoicing Overview 1.